Picture the following: Homemade tortilla chips with fresh hot sauce and salsa on checkered tablecloths; colorful handknit cloths hanging above the worn, wood-paneled walls; romantic Latino ballads drifting from the speakers; and tasty gorditas, enchiladas, chimichangas, tamales, chicken mole, and other foods cooking in the kitchen. Is this the description of a taco shack in a city south of the border such as Tampico or Mexicali, or perhaps a local seaside dining spot near San Diego? Wrong, wrong, and wrong--it is actually a little-known Mexican restaurant on the backstreets of Waltham called Taqueria Mexico. 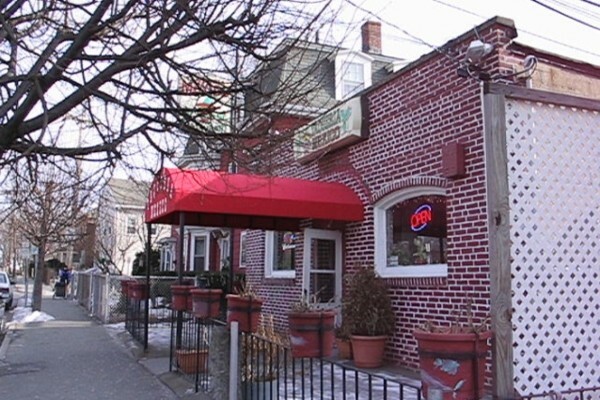 Although one could make a case for El Sarape in Braintree, Angela's Cafe, Taqueria El Amigo just across town in Waltham, and a couple of other places around Boston, there are few better Mexican restaurants in the area than this humble little dining spot. Like El Sarape, Angela's Cafe, and Taqueria El Amigo, Taqueria Mexico serves real Mexican food, which is a rarity in regions this far away from the border. However, lovers of "familiar" Mexican cuisine will find burritos, tacos, and the like on the menu. All the food here is fresh; it is obvious that the owners of Taqueria Mexico take pride in the quality of the cuisine. One added plus is that Taqueria Mexico has a cute little outdoor patio in addition to its indoor dining area, boosting its capacity by quite a bit during the warmer months. Copyright © 2004-2012, Boston's Hidden Restaurants (www.hiddenboston.com).